I’ve been having mega allergies for the last week, plus a cold on top of the congestion. Its not been the best time at the One Product condo. Either way I had to pick up some tissues at CVS, obviously while I was there I wandered off into makeup territory to see if this lip product I had causally seen an ad for was in stock. It was and I die, its amazing. 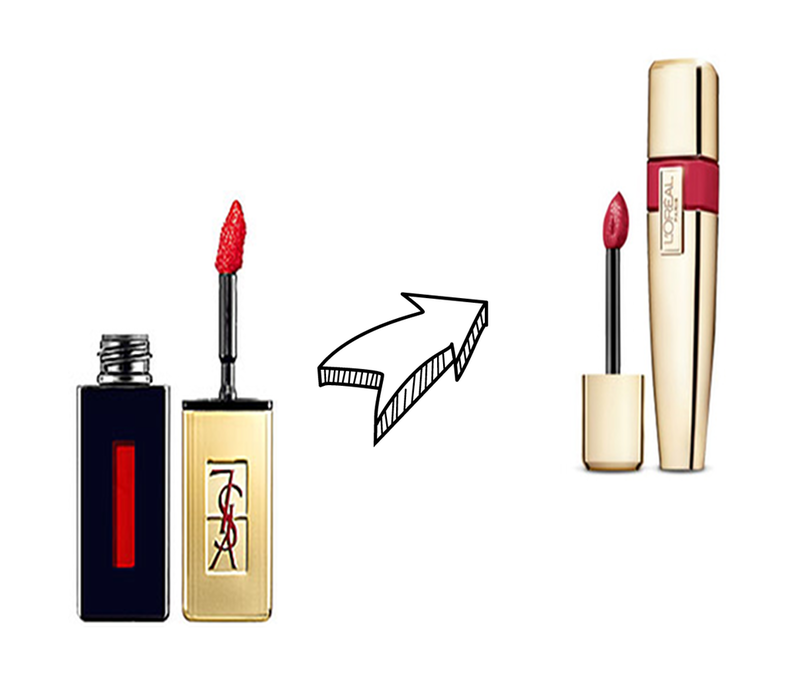 I saw the ad for L’Oreal Colour Caresse Wet Shine Stain and was immediately like “Oh wow that totally looks like the YSL Lip Stain.” I did some beauty sleuthing and found out that YSL Beauté is actually owned by L’Oreal, so I assume that this is basically the low end version of the YSL. I picked up Endless Red, because red is a pretty safe bet for me. It always looks good, whatever, basically I love a good red lip and believe you can’t have too many red lip options. I immediately put it on when I got back to the car and could not contain my excitement, but did because my girlfriend just does not get these things, so instead I emailed my BFF to be like I just found the best lip color stain thing. What I like best about Colour Caresse is that it goes on like a gloss but dries to a comfortable moisturizing lipstick finish and then as it wears off like its a stain. There are no tell tale signs that you were just wearing lip stick i.e. a ring around your mouth or creasing. The product is not only pretty genius, but really flawlessly executed. I want to get like five more colors, I’m currently eyeing Lilac Ever After a dusty rose and Pink Rebellion a nice vibrant hot pink. The color I got Endless Red while it looks intense is actually very similar to that I just ate a popsicle lip color– even though its bright its not obvious and trying to hard– something I really like in a lip color. Because even though I wear tons of bright lip colors I hate when they have a formula that just exacerbates that you are wearing it… I really like when the forumla allows the color to be noticeable without verging on clownish, you know what I mean? The best part is that unlike the YSL Lip Stain, they are not $34 bucks, instead they are about $10 bucks, which means I can get the other two colors I’ve been eyeing. The more the merrier! A couple of my close friends don’t understand these things either. Nice post!